Finland’s Antti Ahokas, who famously beat Rory McIlroy in a play-off to capture the 2006 Irish Amateur Open at Portmarnock, hit a six underpar 66 to lead by a shot from County Down based Thornton (67) with Glasson touring pro Moriarty just two strokes off the pace aftera 68. The top 20 in the Challenge Tour rankings at the end of the season earn European Tour cards and both Moriarty and Thornton can make a major move this week with €64,000 on offer for the winner and at least €20,000 for a place in the top-4. Moriarty is 52nd in the rankings, just €18,619 behind 20th place with Thornton some €22,123 short in 62nd spot with six events of the season remaining. 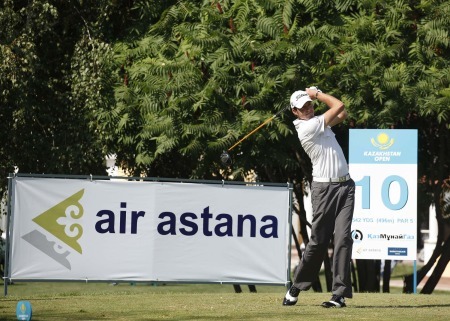 Niall Kearney, who is 117th in the rankings, opened with a level par 72. 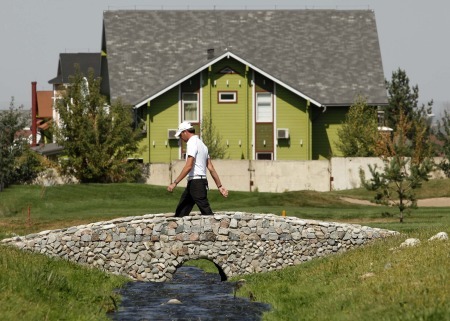 The Kazakhstan Open has been kind to Thornton, who finished tied 21st on his only previous visit to the event. The Ulster based Englishman – who has divided his time between The European and Challenge Tours this term – is likely to concentrate his focus predominantly on the Challenge Tour for the remainder of the season should he walk away with a large share of the €400,000 prize fund. Thornton said: “I played really well – much better than I had in the practice round. I was very straight off the tee, which you need to be round here, because the rough is so penal. Despite suffering from flu and being distressed by the plane crash in Russia which killed a number of his ice hockey heroes, Ahokas compiled the lowest round of a testing Challenge Tour campaign with a 66 on the opening day of the lucrative Kazakhstan Open. 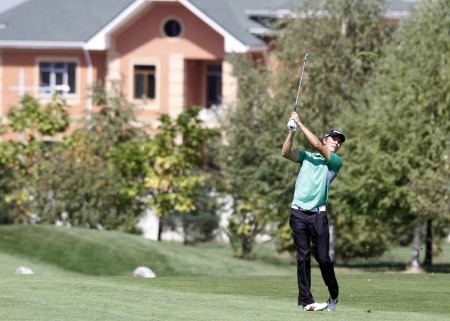 Antti Ahokas has had a poor season so far but leads at Nurtau Golf Club. 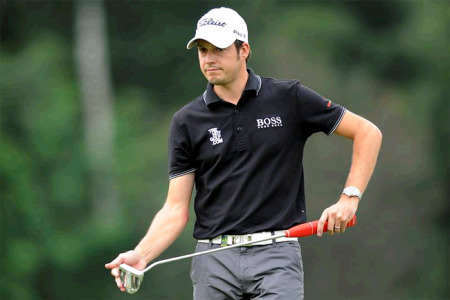 Picture by Phil Inglis.Leader Ahokas endured a sleepless night, having heard the news of the accident which killed 36 players and officials from the major league team Lokomotiv Yaroslavl, but made light of his lethargy to fire seven birdies and a solitary bogey to set the pace on six under par, one stroke clear of England’s Chris Lloyd and Irishman Simon Thornton. Chris Lloyd’s caddie walked on his ball, costing him a shot. Picture by Phil Inglis.In contrast, Lloyd suffered some ill fortune when his caddie accidentally stepped on his ball on the 17th hole, incurring a one-stroke penalty. But the 19 year old still managed to salvage par, and after posting a brace of eagles on his inward nine, he signed for a round of 67 to finish on five under par. Following a bright start to his debut season, Lloyd has slipped outside the top 20 of the Rankings after struggling with his game in recent weeks. But with €64,000 on offer to the winner this week, a top five finish would all but secure the boy from Bristol a European Tour card for the first time.